Disclaimer: I don’t have any financial interest in any homeopathic manufacturers. 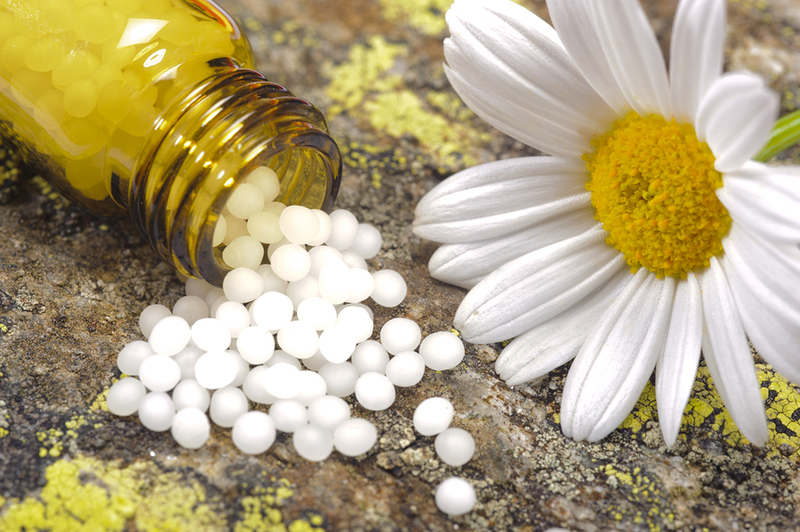 I just LOVE homeopathy and want you to know about it! The term “homeopathy” is derived from the Greek word homeo ‘like’ + pathos ‘disease’. Homeopathy uses a substance that causes the symptoms of the disease the patient has, in ultradilutions, to cure that disease. Conventional medicine, on the other hand, is referred to as “allopathy” from the Greek allo ‘other,’ that uses substances to fight against the disease. Based on the principle of “like cures like” – the use a substance that causes a set of symptoms to cure those symptoms when given in ultradilutions. Super-easy to give to kids! Homeopathic medicine uses a substance in very dilute form to treat the symptoms that is causes in larger doses. Homeopathic medicines basically help your body to recognize what’s going on and do what it needs to do to heal itself. Homeopathy trusts that your body knows what to do to heal itself, given the right information. An easy example is an onion. What happens when you cut into an onion? You may sneeze several times, your eyes and nose may water and burn. When diluted homeopathically, onion is given to treat these very same symptoms and is, therefore, a commonly prescribed medicine at the start of a cold or hay fever attack. In human beings of whom they know nothing. Homeopathy solves this problem. Homeopathic medicine is individualized medicine. It is truly a holistic approach to medicine that takes into account not just the patient’s physical symptoms, but also their emotional state, their past history, and triggering factors. Yes! There IS a homeopathic medicine for sibling rivalry with tantrums starting after the birth of a younger brother or sister! Rather than focus on protocols and algorithms and practice a one-size-fits-all approach to a particular diagnosis as conventional medicine does, homeopathic medicine seeks to find the appropriate medicine that fits the specific symptoms that a patient is experiencing. The substance used to make a homeopathic medicine is diluted in a very specific way to enhance its effect. When you go to Whole Foods and pick up a little blue tube, on the label you’ll find the name of the medicine (usually a very odd, difficult to pronounce word or words) and a number with the letter “C” after it. The “C” stands for the Roman numeral 100. The number in front of the “C” indicates how many times the substance has been diluted 1:100 times. Sometimes a picture is worth a 1000 words. So let’s take our example of the onion above, or homeopathic Allium cepa (its Latin name). 1 part onion is mixed with 99 parts liquid and shaken up – this is a 1C dilution. 1 part of the 1C dilution is then mixed with 99 parts liquid and shaken up to give you a 2C dilution. And on and on until you get the dilution you’d like. Then you coat sugar pellets with the final liquid dilution, swirl it around, and voila! Homeopathic medicines can also be made into creams, eye drops, and suppositories and other preparations. The most commonly found dilution at Whole Foods is a 30C, which means that the substance has been diluted 10-60 times! Beyond 12C dilution (for all you math geeks out there, this is beyond Avogadro’s number of 6.023 x 1023, there is no detectable original substance. Yes – you heard me. No original substance detected. BUT, these ultradilutions absolutely have an effect on our body at a cellular level. At ultradilutions, homeopathically diluted histamine was found to reduce histamine release from our cells when faced with an allergen. Does that mean, then, that ultradiluted histamine can be used to treat our allergy symptoms without the side effects of Benadryl or Claritin – YES! I think that’s pretty cool! Because homeopathic medicines are so diluted, even a substance like Belladonna, which is a beautiful but poisonous flower, can be given homeopathically to treat fever without any concern for side effects or toxicity. This is why homeopathic medicines are often my first go-to for babies and pregnant and breastfeeding moms. Because any dilution above a 12C has no more original substance in it, there really aren’t any contraindications or interactions with any other meds that you or your child might be taking. And don’t worry if your kid finds them so delicious that she eats all the pellets in one tube – it’s not a problem. No need to call Poison Control! You can’t “overdose” on a homeopathic medicine. So now you’re telling yourself, wait a second, sounds too good to be true. A medicine that tastes good, is totally safe with no side effects, and can help my kids’ physical and emotional complaints? You’re either thinking, “Where do I sign up?” OR, like most, “Sounds too good to be true,” Where I live, in Silicon Valley, a lot of my parents ask – what’s the evidence? How can anything in ultradilution have any effect. It must be just placebo! Would I rather try a homeopathic medicine for my kid with eczema before lathering on stronger and stronger steroids, especially after seeing a kiddo with stunted growth and adrenal failure from using too much steroid cream? Heck, yeah! Would I rather try a homeopathic medicine for a kid with ADHD or depression before I go to Ritalin or Prozac, when most psychiatric drugs don’t have any longterm safety studies in kids and have “blackbox” warnings about their risk for sudden death due to serious heart problems or increase in suicidal thoughts – that would be an even bigger HECK, YEAH!!! Sometimes conventional drugs are necessary, which is why I’m so glad that as an integrative pediatrician, I have both conventional and natural medicines in my toolkit. But it’s time to get the word out that heavy-duty drugs are not the only answer when our kids are sick. Homeopathic medicines are regulated by the FDA. Since passage of the 1938 federal Food, Drug and Cosmetic Act, homeopathic medicines have been regulated as drugs by the FDA and can be marketed as over-the-counter drugs for self-medicating conditions. Homeopathic medicines are manufactured according to he highest standards, complying with specifications of the Homeopathic Pharmacopoeia of the United States (HPUS) and Drug Good Manufacturing Practices (GMP). Being regulated as a drug ensures that homeopathic medicines adhere to drug labeling specifications and comply with a well-established framework of guidelines, regulations, and quality standards enforced by the FDA through routine pharmaceutical manufacturing site inspections and surveillance on marketed products. Jacobs J, Jimenez LM, Gloyds SS, Gale JL, Crothers D. Treatment of acute childhood diarrhea with homeopathic medicine: a randomized clinical trial in Nicaragua. Pediatrics (1994) 94: 719-25. Jacobs J, Jonas WC, Jimenez-Perez M, Crothers D. Homeopathy for childhood diarrhea: combined results and metaanalysis from three randomized, controlled clinical trials. Pediatric Infectious Disease Journal (2003) 22: 229-34. Steinsbekk A, Fonnebo V, Lewith G, Bentzen N. Homeopathic care for the prevention of upper respiratory tract infections in children: a pragmatic, randomized, controlled trial comparing individualized homeopathic care and waiting-list controls. Complementary Therapies in Medicine (2005) 13: 231-238. Jacobs J, Springer DA, Crothers D. Homeopathic treatment of acute otitis media in children: a preliminary randomized placebo-controlled trial. Pediatric Infectious Disease Journal (2001) 20: 177-83. Haidvogl M, Riley D, Heber M, Brien S, Jong M, Fischer M, Lewith G, Jansen G, Thurneysen A. Homeopathic and conventional treatment for acute respiratory and ear complaints: a comparative study on outcome in the primary care setting. BMC Complementary and Alternative Medicine (2007) 7:7-17. Frei H, Everts R, von Ammon K, Kaufmann F, Walther D, Hsu-Schmitz S, Collenberg M, Fuhrer K, Hassink R, Steinlin M, Thurneysen A. Homeopathic treatment of children with attention deficit hyperactivity disorder: a randomized, double blind, placebo controlled crossover trial. European Journal of Pediatrics (2005) 164: 758-767. Keil T, Witt CM, Roll S, Vance W, Weber K, Wegscheider K, Willich SN. Homeopathic versus conventional treatment of children with eczema: a comparative cohort study. Complementary Therapies in Medicine (2008) 16: 15-21.